There’s plenty of debate as to whether 2017 will be a good or bad year for adtech. Certainly towards the end of last year, things were looking grim. And thanks to years of heady over-valuations and little proven value, Results partner, Julie Langley pointed out nearly every adtech company that had gone public was trading beneath its IPO price towards the end of 2016. Then there’s ongoing and rapid disruption. Even more than the martech space, adtech vendors have faced significant new trends in ad buying and selling in the last few years, such as programmatic, header bidding, the rise of ad exchanges, and the onslaught of mobile and video advertising. At the same time, industry-wide concerns around viewability, fraud and transparency of ad trading are raising big questions about the quality and effectiveness of what these vendors are offering and how it’s measured. Of course, the dominance of Google and Facebook in the digital ad industry has had an impact on the adtech space too. As Balderton Capital venture partner, Suranga Chandratillake, told FT: “Ultimately advertising is about selling attention, and if most of that attention is focus on Google and Facebook, then naturally they can monetise it”. Employee layoffs ensued in 2016, such as a 19 per cent reduction in staff at Rubicon Project, 5 per cent cut at AdRoll, 13 per cent cut at AppNexus, and most recently, 8 per cent at Adform. So it’s not surprising one of the longer standing players in this space, Rocket Fuel, is looking to step out of its heritage as a supply-side ad server and provide the market with a more holistic martech offering. In January, the company formally announced it is changing its course towards becoming a platform solutions company with a focus on ‘predictive marketing’. In an interview with CMO, Rocket Fuel country manager for A/NZ, Mailee Creacy, said this year’s focus for the business is returning to growth. The decision by global chief, Randy Wooton, to reorganise the business around two core offerings – predictive marketing platform solutions and media services – was about putting the emphasis on those areas that would allow the adtech business to better extend its reach outside of agencies and into the client-side space. Creacy was appointed Rocket Fuel’s local country manager last November. Prior to this, she spent six years with the vendor in its New York office. Having always targeted agencies and been an IO-based business, Creacy says Rocket Fuel is now squarely looking at customers wanting to work on a long-term, platform basis. “That’s about annual commitments and technology as a service,” she explains. “One of the major factors in doing this is when we acquired X+1, which is a best-in-class DMP. Since then, we’ve worked very hard to converge those two technology platforms into one, so the DSP and DMP is now just the Rocket Fuel predictive marketing platform. It sits across our main technology stack, which is based on artificial intelligence. One of the big questions for 2017 is how far the line between martech and adtech players will blur. Adobe’s acquisition of DSP player, TubeMogul, in November was seen as a tipping point for the two sides coming together. Creacy claims Rocket Fuel has been thinking in these terms for a long time. She says the vendor’s predictive marketing approach is based on integrating adtech with cloud-based martech and database offerings, and becoming the channel distribution partner for clients. According to Creacy, four factors are driving the rise of predictive marketing: Unified profiles, algorithmic attribution, applying AI, and dynamic creative. “We want to help clients leverage their automated martech systems, and help them push those out to appropriate channels and report back,” she says. “We can seamlessly integrate with a lot of these solutions. A lot of our competitors in adtech are not able to do that yet. 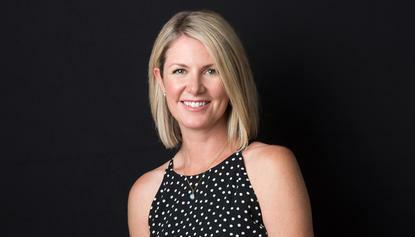 Rocket Fuel’s competitor landscape is changing as a result, and Creacy is bullish about her company’s offering. “It used to be other DSPs and even internal trading desks, which we’ve now started to partner with, as well as the agency holding company. Now, people are on the verge of realising what Rocket Fuel is capable of doing. To better support clients locally, Creacy has brought on a strategic accounts director, as well as a platform specialist, and is looking to have 12 staff locally by the end of this year providing more service and support. “Whether it’s a direct client using our DSP and run their media through our platform – and we’re having a lot of those conversations – or whether it’s someone who wants to use the full technology stack…we need to support both,” she says. The knowledge gap she’s seeing around digital marketing depends on the client. “When you look at our agency partners, programmatic has become so commoditised, and there are so many different companies who are programmatic adtech vendors, the message is hard and it sounds like everyone is saying the same thing,” Creacy continues. “Everyone says they have artificial intelligence, and automated and predictive modelling. In the end, it’s who performs better. That’s where we stand out. The biggest challenge is getting to the point with existing and prospective customers and having larger conversations about other solutions they’re using. As digital marketing matures, criticism is rising around the viewability, accountability and transparency of media buying and selling. Creacy applauded the recent decision by Procter & Gamble to crack down on these areas and says vendors should also be taking responsibility for improving digital media’s reputation. “More and more, brands are going to be looking at these things, and ask how many impressions they paid for are in view, and how they impacted performance,” she says. “Programmatic is in the spotlight right now and being scrutinised. It’s not just on the agencies any more, it’s on brand and vendors too. “We had some negative press about ad fraud and Rocket Fuel was known for that for a hot second in the US. We have always cared about brand safety and we have systems in place to leverage our predictive modelling and intelligence to weed out bad impressions. Forty per cent of the impressions we have the opportunity to bid on every day are thrown out because we see them as suspect. Other trends Creacy highlighted as exciting her in 2017 include the growing maturity around cross-device targeting, and in particular, the shift towards consumers and how they interact with the message, over channel-based marketing. “Agencies and brands are starting to look at digital media less as a point-based campaign activity and more of an all-encompassing strategy,” she comments. “Digital is set to rival TV this year, so people are seeing huge returns and not just looking at things in silos. That’s important, but it’s also exciting. It’s about looking at things on a grander scale – how are you engaging with your consumer, and how are you making sure that message isn’t just a digital one, or on TV.